Plug in the lights- it's Christmas time! 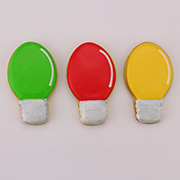 The 3 1/4" Christmas Light Bulb Cookie Cutter will brighten up any holiday bash. Decorate the cookies with a variety of colors and get snackin'. I ordered a collection of cookie cutters as a gift. 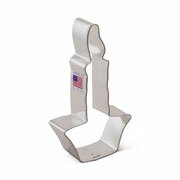 They arrived quickly, are well made & I love that they were made in the USA! 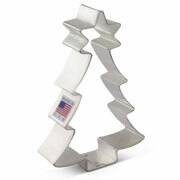 Love these made in the USA Cookie Cutters! 5 Star product! I purchased a Christmas light cookie cutter. I was very pleased with the price and quality of it. Love my new cookie cutter! 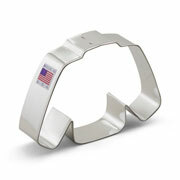 Arrived in a timely manner and is great quality and size. My Granddaughter loves Unicorns and rainbows right now so I was happy to see the set! It's perfect! We are having unicorn and rainbow cookie decorating birthday party! 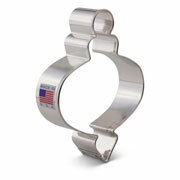 Great selection, unique cutters and a great price. PLUS, Made in America! Ordered the lightbulb Xmas cookie cutter just received in the mail today haven't tried it yet but wishing it was bigger.